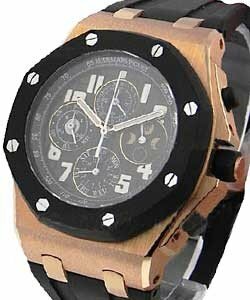 Audemars Piguet is definitely regarded as a top tier watch manufacturer. It is one of the oldest and most established Swiss watchmakers, the company was a partnership between Jules Audemars and Edward Piguet officially formed in 1889. They focused on only high-quality, complex ultra-precise watches. To this day, Audemars Piguet is the oldest watch manufacturer still owned by its founding family. Audemars Piguet watchmakers have long been considered some of the most skilled horology specialists in the world. 'Haute Horology' is the keyword for this brand. 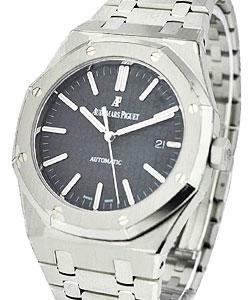 Audemars Piguet (often abbreviated to 'AP') debuted their luxury sports watch category in 1972 with the launch of the Royal Oak. Twenty years later, a true legend was born when the 'Royal Oak' gave birth to the 'Offshore'. 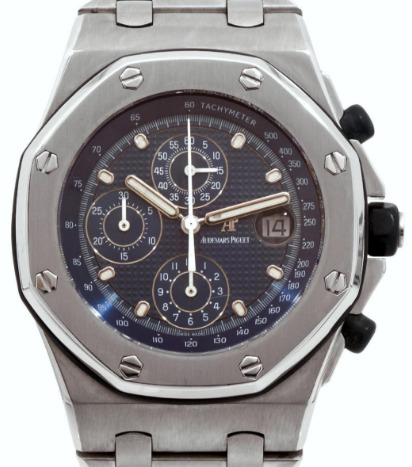 The 'Royal Oak Offshore' is definitely the most recognizable of the Audemars Piguet models. While more formal versions of this model do exist in pieces like the classic 'Royal Oak Offshore Chronograph' as well as the elegant 'Royal Oak Offshore Baguette', the sporty limited edition models remain most popular. 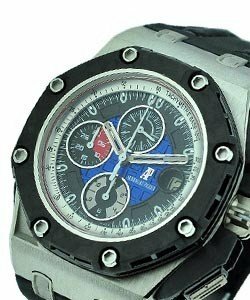 By pairing luxury watch-loving celebrities, famous cities, countries, events and brands with many of their 'Royal Oak Offshore Limited Edition' models, AP has ensured these sporty and modern watches remain popular and in demand. The range of famous people, places and brands attached to their own Royal Oak Offshore Limited Edition is immense, and Audemars Piguet boasts the most impressive endorsement list in the luxury watch business. 'Pride of Argentina', 'Grand Prix', 'Masato', 'End of Days', 'Don Ramon de la Cruz', 'Las Vegas Strip', 'Rubens Barrichello', 'Team Alinghi', 'Singapore Grand Prix', 'Pride of Russia', 'Schwarzenegger', 'City of Sails', 'Jay Z', 'Shaquille O'Neal', 'Ginza', 'Survivor', 'Polaris', 'T3', 'Arnold's All-Stars', 'Jalan Bukit Bintang', 'Sachin Tendulkar', 'Bartorelli', 'City of Sails', 'QE II Cup', 'Worth Avenue', 'Rodeo Drive', 'Monte Napoleone'...the list is long. 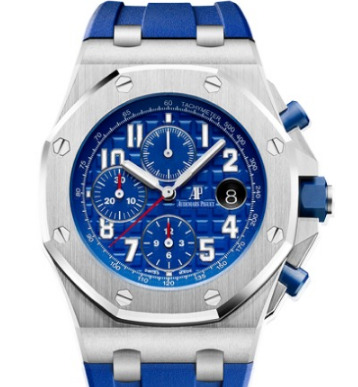 See our Audemars Piguet 'Royal Oak Offshore Limited Edition' page for all models.